There is no doubt about the fact that the predicted exhaustion of IPv4 addresses has occurred. The official enterprises responsible for registering IPv4 addresses, such as ARIN (American Registry for Internet Numbers), are in the final stages of doling out their final batch of IPv4 addresses. In fact, some of these enterprises are done with their final distribution as well. Let’s do some math here: When the IPv4 was first introduced to the market, nobody thought that its addresses would be used up so quickly. The reason for this was that it used 32-bit addresses which mean 2 to the 32nd power, or a whopping 4.3 million (approximately), devices would get connected to the internet. However, the implausible happened and now IPv4 is in the final stages of its lifecycle. IPv6, on the other hand, uses 128-bit addresses. This means 2 to the 128th power (a figure so large that it may be used for distances in space) devices can be used to connect to the Internet. Surely, it would take us years (even light years) to run out of them. However, the costs and complications involved in migrating to the IPv6 do not make it a feasible option for organizations. Moreover, many of their customers are still using IPv4 addresses, so connecting with them will become a problem if they adapt to IPv6 too soon. Although IPv4 addresses are moving towards depletion, organizations’ need for IPv4 addresses have not decreased. Since all of their software, devices and other aspects of the infrastructure support IPv4 addresses, they have to get IPv4 addresses to survive. This is the reason that IPv4 will be staying with us in the near future. In contrast to this, moving to IPv6 has become a necessity for some enterprises. This means that they have free IPv4 addresses that need to be sold. The transfers of IPv4 addresses can easily be made if they are in line with the official registry’s rules and regulations. We saw an instance of this transaction when the UK Government sold 150,000 of its unused addresses to a Norwegian firm. Owing to this gap in the needs of buyers and sellers, a new address brokerage market has emerged. 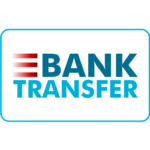 These companies comply with ARIN’s Specified Transfer Listing Service to ensure that the transfer process is done legally. They provide a platform where buyers can meet sellers and carry out a transparent transaction. IPv4 addresses have already become, what economists would call, scarce resources. If you think you will need IPv4 addresses, it would not be a good idea to wait too long. However, if you are a seller, you might want to wait. But wait too long and your IPv4 addresses may get wasted (transition towards IPv6, remember?). Keeping in line with all the policies and regulations, we at IPv4 Mall provide a risk-free and safe environment for buying and selling IPv4 addresses. Our remarkable IPv4 marketplace has helped many organizations and enterprises get their desired solutions.